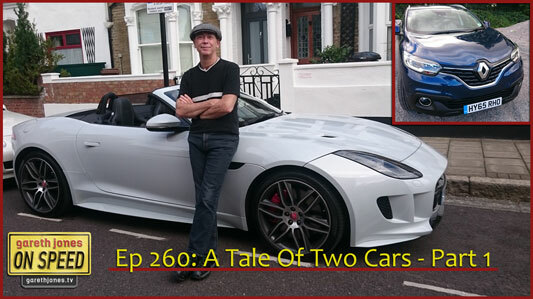 #260 A Tale Of Two Cars Pt 1. Gareth drives the Jaguar F-Type R AWD and the new Renault Kadjar – which one will he enjoy most? Also, car spotting in the north-east of England and the new things sat-navs say.